Some policemen on guard in a private residence have allegedly killed a member of the Special Anti Robbery Squad in Alor, Idemili South Local Government Area of Anambra State. That the incident occurred near the home of the Minister of Labour and Employment, Senator Chris Ngige. A Police source who pleaded anonymity said the deceased, whose identity could not be confirmed as of press time, was mistaken for a kidnapper by his colleagues. “He (the deceased) accompanied one of his colleagues to somebody’s residence to effect an arrest at about 4.30 am. 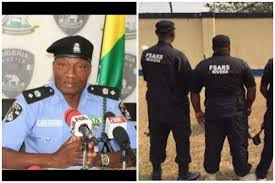 “They were handcuffing their suspect when somebody who did not know that they were SARS operatives alerted some policemen on guard in a private residence in the neighbourhood. “The neighbour had told the policemen that kidnappers were trying to abduct someone. “As soon as the policemen arrived the scene and saw the SARS operatives, they opened fire at them and gunned down the deceased, thinking they were kidnappers. “It was minutes after that his colleagues identified him as a SARS operative on special duty,” the source stated. The Officer-in-charge of SARS at Awkuzu, Sunday Okpe, confirmed the incident. The Police Public Relations Officer in the state, Mr. Haruna Mohammed, did not pick the call put across to him by our correspondent for confirmation of the story; nor did he reply a text message sent to him for that purpose. An insider in the Police Command, who begged not to be mentioned, said that the offending policemen were already facing orderly room trial.